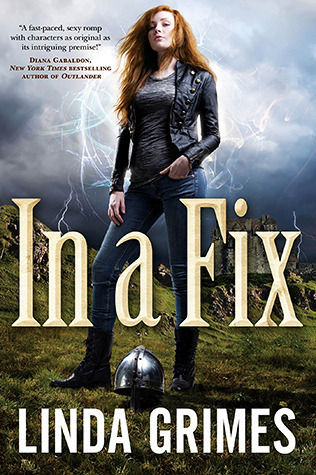 In a Fix isn’t your typical urban fantasy. It’s a magic- and mythical creature-free zone. Instead there are a select number of the population who have a genetic mutation giving them the ability to alter their appearance. By touching another these ‘Adaptors’ can exactly mimic their aura, shifting to a carbon copy of that person. Ciel Halligan uses her talent as a Facilitator. Clients hire to her to become them in order to solve some of the stickier situations in their lives. When her latest job means going on holiday to the Bahamas with the attractive boyfriend of her client in order to secure a marriage proposal, Ciel can think of worse ways to earn a living. That is until their luxury villa is bombed and the boyfriend is kidnapped. 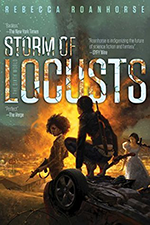 Bad for Ciel but great for us readers, as what follows is a tale of body-swapping hijinks that features Neo-Viking terrorists, globe trotting and, at one point, a quite miraculous escape from a medieval war machine. As the characters change faces like we might change socks, it can be confusing to begin with, but each of them has such a distinctive personality that soon becomes easy to follow. With a plot worthy of a spy novel that moves at breakneck speed, the funny and quick writing style of In a Fix means the book never gets overwhelming. Having grown up surrounded by over protective boys, Ciel is fed up of constantly being underestimated. So when her pseudo cousin Billy and long time crush Mark come in ready to take over, Ciel refuses to be sidelined. Her sometimes reckless need to prove herself tends to get her in more trouble than anything else, but she never whines or sits back waiting to be rescued. She may not be the baddest on the block but she’s certainly resourceful and her inner dialogue makes her incredibly likeable. Whilst she’s eager and willing, there are certain situations that her inexperience shows, primarily in the emotional tangle she finds herself in with Mark and Billy. 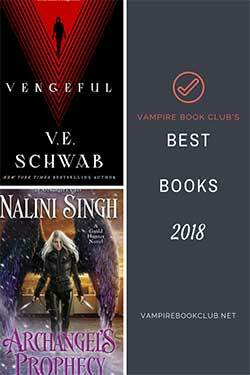 Both have pros and cons, and while I found myself firmly on one team, there is plenty for scope for a full out wooing war to come in later books. This book had me in stitches, the unique premise lending itself perfectly to action and humor going hand in hand. With Baddies that manage to be sinister and hilarious at the same time and a heroine who hasn’t quite got it all figured out but will give it a damn good go anyway, In A Fix opens what promises to be a very original new series, a series that is definitely going on my watch list. Thanks for the review of a great sounding story. Added to my bookstore list for today!